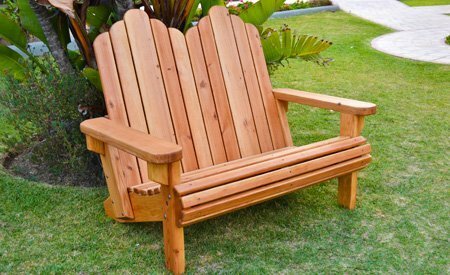 Sharing moments with your loved ones that last a lifetime is easy with this gorgeous Outdoor Wooden Adirondack Loveseat made from Redwood. 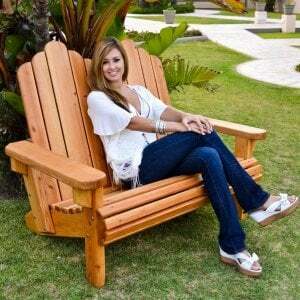 With room for two (even three with our larger size), or just you if you want to stretch out, this seat is perfect for the backyard or patio, all year round. 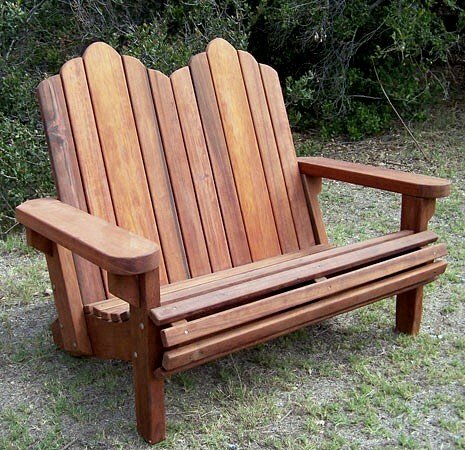 This great Adirondack Loveseat is curved at the bottom for extra comfort, and has a large flat back that’s perfect for leaning back, or even getting a nap in on a warm summer day. 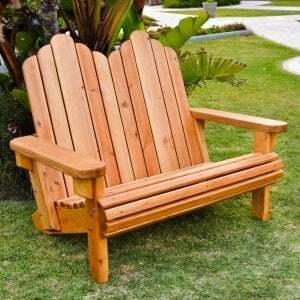 The Forever Redwood Adirondack Loveseat is cut from the country’s best restoration timber, and custom-made specifically for you, here in our studios. 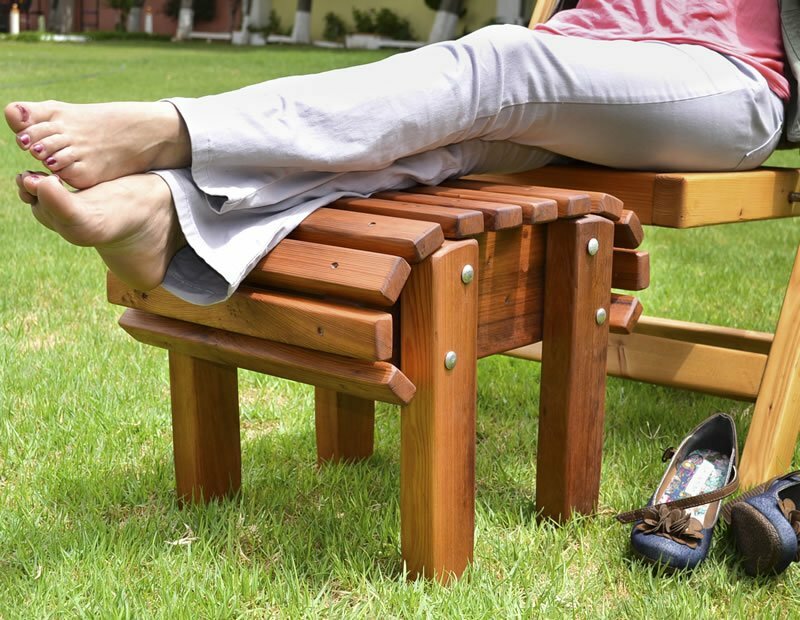 This wood is naturally decay resistant, and built thicker, and sturdier than pretty much any other bench on the market. You’re not just getting a great loveseat. 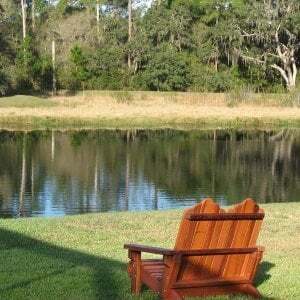 When you order from Forever Redwood, you get a quality guarantee, and a product that will last decades with you, regardless of weather exposure or heavy daily use. 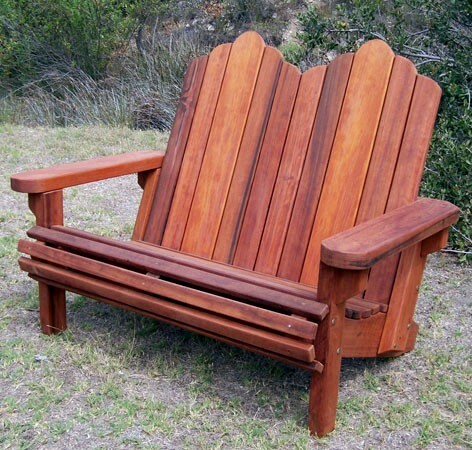 Our Adirondack Loveseats seat two (or even three!) 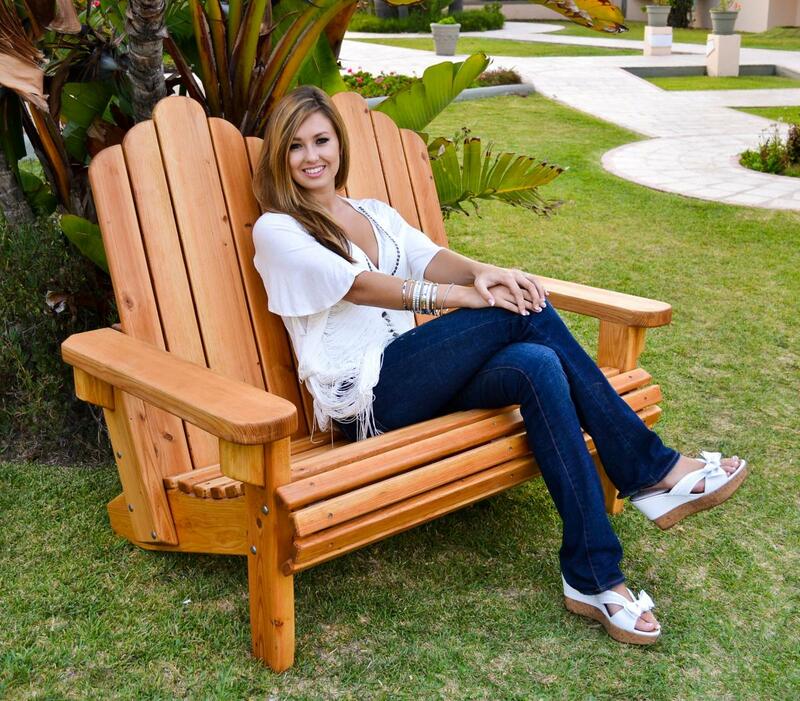 and are an elegant addition to the patio, beach house, or any conversation space. 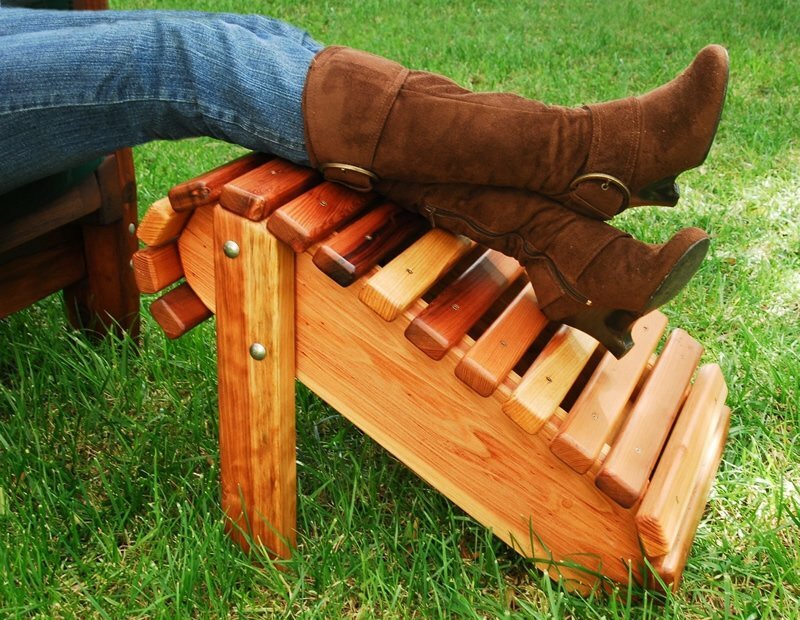 In Show More Options choose the seat depth, stain and finish you prefer or add a cushion. Ottomans also available separately. 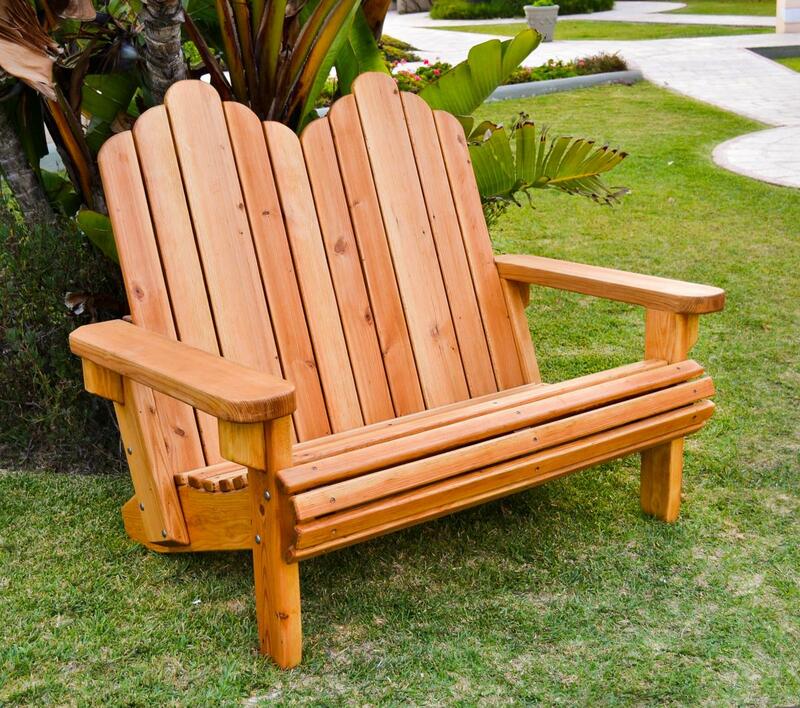 Naturally decay-resistant Redwood, expert craftsmanship and stainless steel hardware mean that the Adirondack Loveseat will beautifully weather the elements season after season. Easy assembly. Ships in less than 10 parts. Want your own Outdoor Wooden Adirondack Loveseat made from Redwood? Simply pick your size, finish, style, and cushion options from our online menus, and pick your payment option. We can deliver this loveseat to you practically anywhere in the United States, and ship this product in less than ten parts. 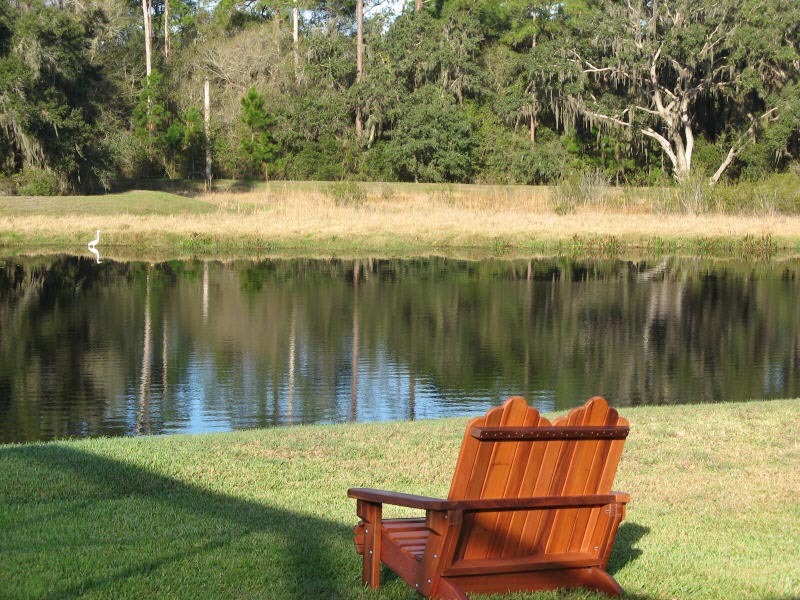 We also take certain special request orders, so don’t hesitate to call or write us if you have any questions. Choose the seat depth right for you at no additional charge: Standard Seat Depth (for individuals 5'8" or taller) or Shallower Seat Depth (for individuals under 5'8. 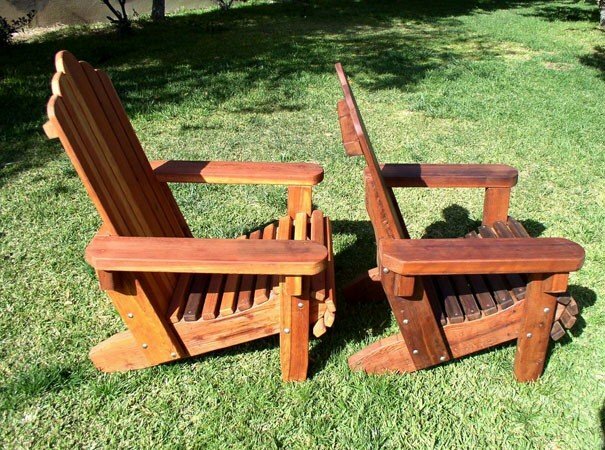 Image at left shows the difference on our "Regular" Adirondack Chairs. 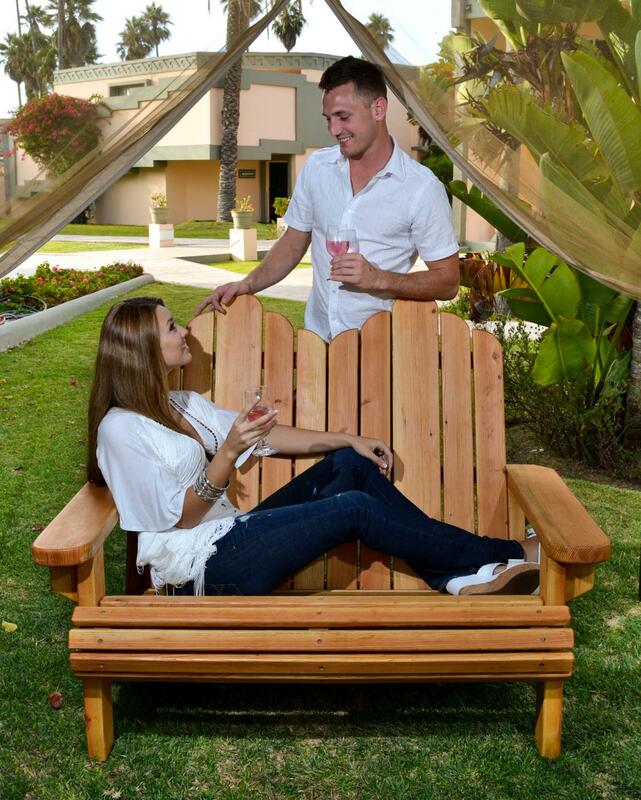 Kick back and relax with either our Standard Ottoman or Flat Ottoman. The Flat Ottoman can also be used as a side table! We can build it in any size you need, just contact us.